Someone once told me that breastfeeding your baby is “the most unnatural natural thing”. Boy, was he right (yes, that’s right, a man told me that.)! I very much enjoy the closeness I feel to my baby when I nurse him. But, it can also be very difficult. I don’t think I’ve ever had so many questions and felt so confused and frustrated by something in my entire life! And, that’s no exaggeration. Just ask my friend Dani (experienced mother of three). I’ve been calling and texting her constantly since my little monkey was born and have been asking her TONS of questions. Thankfully, she has been WONDERFUL and answered them all. I love you Dani! It all starts when your baby is born. Mom and baby both have to figure out what to do. You learn what position works for you and baby, baby has to learn to latch on properly (which not all of them do and then you have a whole other set of complications), mom has to figure out how to keep baby awake while they eat (many newborns fall asleep while nursing), mom has to have plenty of patience because some babies nurse for 40+ minutes…the list goes on and on. Soon enough, us mommy’s need to start pumping milk. This brings its own set of questions and complications. I never knew it would be so involved. You think, ok, I hook these things on here, turn it on, and go. NOPE. SO much more involved (At the risk of divulging TMI, I won’t go into too much detail. If you’d really like some, you can leave a comment and we’ll discuss). Next, somewhere between 4-6 months, your baby may go on a nursing strike (Heather, I feel your pain!). Usually this is due to teething. This is the stage my little one and I are in right now. We begin feeding sessions nursing, but only make it about 10 minutes (sometimes less) before he starts to push away from me and fuss. So, I switch sides and try again. This time we make it maybe 3-5 minutes and the fussing starts all over. After that, the bottle comes out. *Sigh* So, mommy ends up pumping extra. Not a bad thing, but frustrating. An amazing connection is formed between mom and baby while nursing and when your baby doesn’t want to nurse, it can make you feel sad. The experts say someone else (not mommy) should bottle feed baby so they don’t get confused. Well, take away nursing and take away bottle feeding and you have one sad, frustrated mommy. Here’s hoping once my little man’s teeth come in, he’ll go back to nursing…. All you nursing moms out there, know you are not alone. 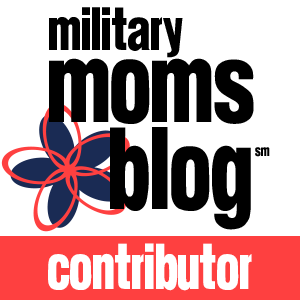 And, if you feel like you’re pulling your hair out and don’t know what to do, check my “Helpful mommy links” page. There are breast-feeding resources there. You can also call the lactation consultant at your hospital. Or, do what I did, find a really good friend who already has children, and ask her.